Going away for the holidays? If your pets have to stay behind, it can be very stressful for them. What you choose to do with your pet can mean the difference in a stressed pet and one who has a wonderful time. It can also mean the difference between a stressed out you as you wonder and worry or completely cool and content knowing your pet is in good hands. Kenneling/Boarding is a great choice for dogs who require supervision, are active and people-oriented, and are easily stressed by their owners’ absence. Kennels and boarding facilities are safe and many offer around-the-clock care, ideal for dogs with medical conditions that require close supervision. Some have web cams so you can log in and see what your dog and the others are up to at any given time. Catteries also tend to have webcams or may email you an update at your request. Pet sitters will come by your house a certain number of times per day and will feed, walk, play and do any necessary cleaning for your pet. Some offer additional services, such as turning on lights, watering flowers, etc. This is a great option if your dogs can be trusted on their own and if they do not get anxious or stressed due to your absence. Some dogs are more comfortable and less stressed when in their home environment. Some pet sitters will also stay in your house. Ask that awesome friend of your who loves your pet more than you if he or she would be willing to be your pet sitter. This is especially good if money is tight and you aren’t sure if your pet will do well with strangers. Are you sure Fido can’t go? You may be able to take your pet with you. Even if the hotel you are staying at doesn’t allow pets you may find dog daycares or boarding facilities in that city that will let your pet stay with them and arrange for you to come by each day for a few hours. 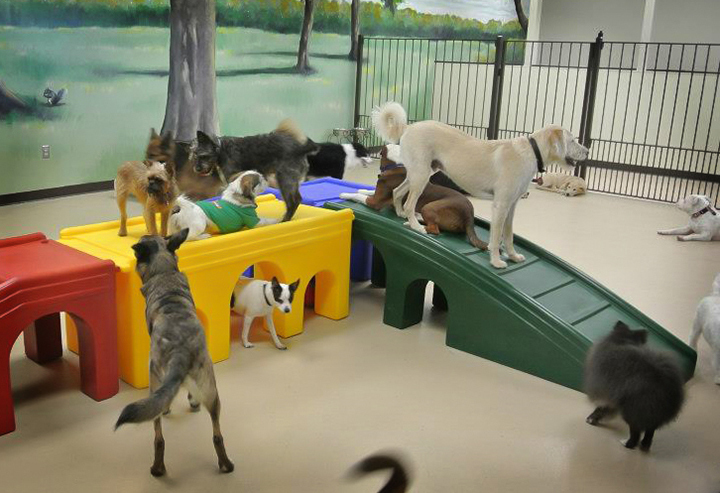 I’ve worked at a few dog daycares and we would work with the pets and their owners to find what would work best for the well-being of everyone.